Here are some of the most common holiday money gaffes we make. Holidays are an ideal time to let loose, but it’s not wise to be as carefree with your money. With so much to sort out before you go, it can be easy to forget the basics. To help you save a bit more cash, here are some of the common holiday money mistakes and how to avoid them. Never leave your currency buying until you get to the airport. If you really have to, order it online and collect it at the airport’s bureau du change. It depends on the currency exchange service, but you can usually order it at least four hours in advance. If you get currency posted to your house, be sure to check whether you need to pay a delivery fee, as this will dent the value of your exchange further. Read How to get the best deal on your holiday money. If you do this, you’ll start racking up hefty extra charges. Debit cards often charge a minimum transaction fee as well as a percentage fee and other ATM charges. And no matter how desperate it gets, never withdraw money from an ATM with your credit card, even if you’re in the UK. It’ll appear on your credit report and future lenders won’t take kindly to it as it suggests that you’re bad at handling your money. However, there are cards which are designed specifically for using on trips abroad. Check out The best credit cards to use on your travels and The best debit cards to use on your travels for more. When you pay by card, always make sure it’s in local currency. If you pay in Sterling it’ll be converted by the retailer’s own exchange rate which will almost always be a rip-off. Get in touch with your bank or building society before you leave to tell them that you’re going on holiday. You can contact them over the phone or with a couple of clicks through online banking in some cases. Thanks to anti-fraud technology, your card can pick up when and where it’s being used and your bank will block your card if it detects unusual activity. To reverse this you’d need to call up your bank, which can be rather expensive from a mobile phone abroad. Be careful with these holiday packages as you could end up spending a lot more than you anticipated. According to the Post Office's Travel Money Inclusive Holiday Report, families spent an average of £233 for meals and drinks on top of their all-inclusive package on their last trip. That may have been as a result of eating at local restaurants rather than in their resort, but the report also revealed many ended up spending more even at their hotel, as their all-inclusive package did not include quite as much as they thought. Always check the small print to see what is and isn’t included in an all-inclusive deal. The problem with carrying too much cash is that it’s open to getting stolen or lost, and your insurer may not cover it. In fact, some will only pay out if you had the money on your person or in a safety deposit box. If you’d prefer to keep your cash on you, go for a money belt or a handbag that goes over your body so that your stuff is more difficult to swipe. For those having an all-cash holiday, it’s best to check your travel insurance policy’s personal money loss limit to see how much of your physical cash it’ll cover. Travel insurance is essential for getting you home and covering medical expenses. Most policies will cover emergency medical expenses, personal liability, lost or stolen bags or any unexpected cancellations and delays to your trip. If you need something a little more specialised, you can get over 65s, adventure sport or cover for a specific illness. Without it you could end up paying dearly, particularly if you’re somewhere like the USA where medical costs are vast. Head over to Top travel insurance for your holidays to find out more. Take some time before you go to learn a bit about the currency you’re going to be using. Currencies that go into the thousands can be difficult to work out in your head, such as the Hungarian Forint. Knowing the exchange rate means you’re less likely to get short-changed or scammed. Budgeting will be much easier, too. Find out more about the general cost of living at your destination too as this will give you an idea if you’re paying more than you should be for something. Booking in advance can save you a lot of money. And you’ll have more choice on what vehicle you drive away. If you book off-peak, you could be looking at a single-figure daily rental. Walk-up rates will set you back substantially more. Be warned that you may be charged to fill up the tank if you pay upfront, with no refund for anything leftover. For those that aren’t planning on driving far, this could drain a lot of your holiday budget. When you book, remember to get your ‘check code’ in advance. The good news is that you now have 21 days to share it with your car hire company rather than just three. Oh, and don’t go for the company’s ridiculous ‘excess insurance’ policy. Go for a standalone at a fraction of the price. Treat changing your money back to pound sterling the same way you treated changing it to a different currency: shop around! The likes of Travelex, Sainsbury’s, Moneycorp and the Post Office all offer buy back at the rate you bought your foreign currency. However, there is an extra fee to pay for buy back and it means you have to exchange your money back through that provider within a limited period when you might be able to get a better deal elsewhere. Some will only give you buy back up to £200 as well, so watch out for that. 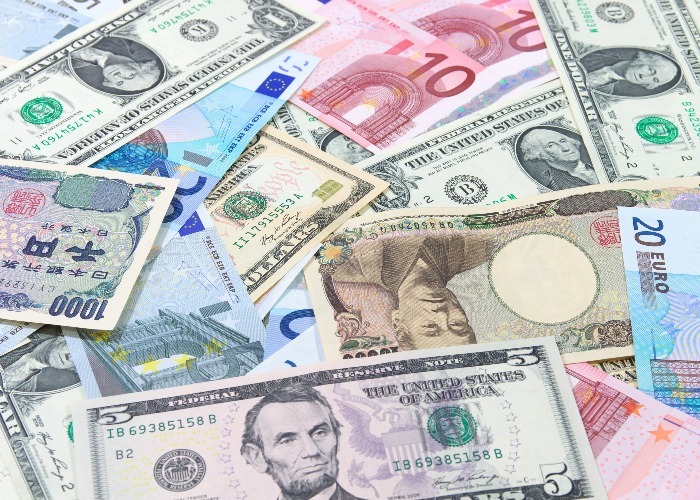 Read more in our guide to Foreign currency ‘buy back rates’. Alternatively, you could go for a prepaid card which will allow you to keep to budget without carrying cash. You can top up while you’re away, but you will need an internet connection. According to the Money Advice Service, we spend an average of more than £14 at the airport on the way home, just to get rid of it. But you could bring it home and change it back into sterling, to put towards your next trip. Read Almost £1 billion spent at airports 'to get rid of it'.